If you’re looking to study medicine, you know there’s a huge range of degrees and pathways, each with their own application requirements and deadlines. Study Medicine has done the research for you - allowing you to identify, explore and compare all degrees from the one site. Compare different degrees and make informed choices to optimise your ability to be accepted into a medical degree. Detailed Degree Requirements - size of the medical program, how selection is undertaken, detailed specific requirements plus Commentary. University Comparitor - allows you to directly compare degrees side by side and identify your optimal degree/s. Applicable for high school students, university students, career counsellors and parents. 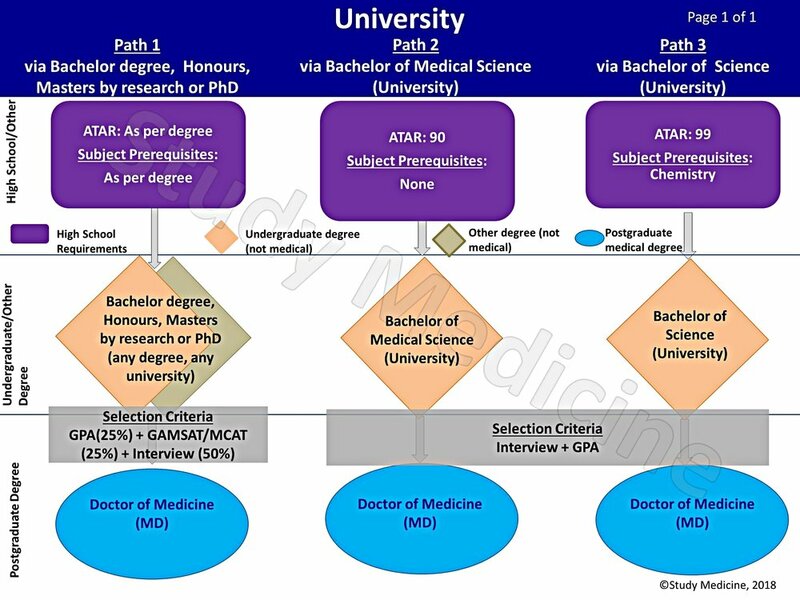 A summary for each of the 20 Australian universities that offer a medicine program, with details of 59 degree paths. Detailed information for each university, identifying medical degrees and degrees that lead to medicine plus Commentary. Provides additional information - number of places in the medical program, whether transfers from other degrees are possible, duration of the degree, location, time limits within which previous degrees are considered valid, bonus schemes offered, etc. Compare one university and its paths to medicine with 19 other Australian universities and their respective paths by scrolling through all 59 available paths. Access this information by signing up for one of the 3 Study Medicine information packages. Study Medicine information has been compiled from Australian university information sources and publicly available data and therefore is a guide. Authoritative information is provided by the university only. Make sure you obtain information directly from the university before making any decisions.